This is the public profile of Ekin Ç. Turhan - Onat Öktem, Additional information and high-resolution images are available for accredited press members, to access additional information about Ekin Ç. Turhan - Onat Öktem please login as a press member. About Ekin Ç. Turhan - Onat Öktem : Ercan Çoban Mimarlık – Ercan Çoban Architects is an Ankara - Turkey based well-known architectural office established in 1973. 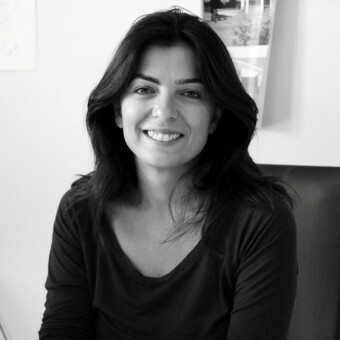 The practice is led by two senior partners – Ercan Çoban and Ekin Ç. Turhan -who joined the practice in 2008. The company, from the very first years of its incorporation has specified its fundamental principle as serving for the art of architecture along with all of its participants and designed a wide range of projects including office, residential, transportation, public and health-care projects. The practice aims to produce functional, aesthetic and environmentally responsible projects in close interaction with every party involved in the design process by constantly following the intellectual and technological developments. The practice has numerous price awarded projects, including Ankara Esenboğa International Airport - which construction was completed in 2006 and awarded as ‘The Best Airport in Europe’ in 2009 by Airport Council International. 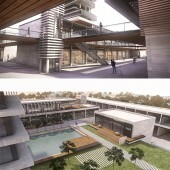 ‘The Mall – Cultural and Commercial Mixed-use’ is a recently designed project in Africa with ONZ Architects. Press Members: Request an exclusive interview with Ekin Ç. Turhan - Onat Öktem.